Swiss American Thomas A. Blomster began his lifelong love affair with music at the age of four when his parents took him to an orchestra concert featuring The Little Train of the Caipira by Heiter Villa-Lobos and Ballet Suite from Estancia by Alberto Ginastera, both works featuring percussion. It was at this concert that Thomas met his most important teacher John Galm, who was Professor of Percussion at the University of Colorado in Boulder. Thomas studied with Professor Galm through high school, and at the age of fourteen Thomas was accepted to the prestigious Aspen Music School to study with Charles Owen, principal percussionist with the Philadelphia Orchestra for 18 years under Maestro Eugene Ormandy. That summer Bill Moyers came to Aspen to film a PBS special on Aaron Copland, who was always in residence during the summers in Aspen. Mr. Owen saw fit to assign Thomas the gong part on Mr. Copland’s famous Fanfare for the Common Man, with Copland conducting as a part of the PBS special. In addition to working with Aaron Copland, Thomas spent four formative years performing at the Aspen Music Festival, where he also worked and studied with Elliot Carter, Krystof Penderecki, and members of the New York Philharmonic, Philadelphia Orchestra, and the San Francisco Symphony. Upon graduation from high school, Thomas was accepted to the Hochschule fur Musik in West Berlin, Germany, where he studied with members of the Berlin Philharmonic and the Deutsche Oper. He was offered a position with the Theatre des Westens after substituting for a fellow percussionist, but chose to return to the USA to continue his studies with timpanist James Rago of the Louisville Orchestra, whom he had met and studied with in Aspen. Shortly after Thomas began his studies at the University of Louisville, KY, he became a member of the Louisville Orchestra, where he performed and recorded for four years, working with composers Karel Husa, Morton Gould, Michael Colgrass, Lukas Foss, David Amram, Claude Baker, Maestro Lawrence Leighton Smith and many others. He also performed with the Orquesta Sinfonica de Mineria (Mexico City) and the Evansville (IN) Philharmonic at this time. When the Louisville Orchestra went on strike in the fall of 1984, Thomas moved to Denver to be timpanist of the Denver Chamber Orchestra under the baton of Joann Falletta. Since that time, Thomas has also performed with the Colorado Ballet Orchestra, the Colorado Symphony Orchestra, the Colorado Springs Philharmonic, the Boulder Philharmonic, the Bedford Springs Music Festival (PA), the Colorado Music Festival, and was Percussionist and Artist in Residence at St. John’s Episcopal Cathedral in Denver. He also decided to return to school to complete a degree in conducting, earning a Bachelor of Music Performance degree from the Metropolitan State College of Denver and a Master of Arts in Conducting from the University of Denver. Thomas’ baton once belonged to Frederick Fennel and is a gift from his mentor and teacher Dr. William Nichols, who received it as a gift from Dr. Fennel. He has led the following ensembles on the podium: the Colorado Springs Philharmonic, the Denver Chamber Orchestra, the Mostly Strauss Orchestra, the Boulder Brass, the Mile High Community Band, the Youth Orchestra of the Rockies, and was founder and Music Director of the Mercury Ensemble for eleven years. He was Assistant Conductor for the Junior Symphony Guild’s educational programs “Inside the Orchestra” and “Tiny Tots” for ten years. As an educator, he has taught at Red Rocks Community College and Monmouth College (IL). During the summer of 2017 Maestro Blomster was the first Western composer and conductor to work with the State Morin Khuur Ensemble (traditional instrument ensemble) in Ulaanbaatar, Mongolia, where he conducted the premiere of his composition Postcards To Mongolia. The score of the composition is now housed at the 2000+ year old Mongolian National Archive. His composition, A Brighton Serenade, is the title cut for The Mercury Ensembles’ CD for Sonora Productions. He also arranged and recorded German composer Markus Reuter’s Todmorden 513, a one hour algorithmic composition. 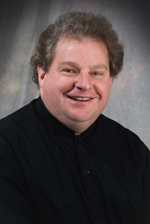 Currently Thomas is Music Director of the Colorado Chamber Orchestra and the Douglas County Youth Orchestra. He also maintains an active schedule performing and recording with various jazz and rock bands. Thomas resides in Pueblo, Colorado with his wonderful wife pianist Noriko Nikki Tsuchiya and enjoys cycling, hiking, and gardening when he gets a break from his many demanding musical roles.